One of the remaining items on our living room's to do list is a new coffee table. We've had our current one for almost 5 years now and I'm ready for a change. Question is: should we buy a rectangular coffee table or a square coffee table? If I buy another rectangular coffee table, I feel like the chair on the right is left out. A square coffee table would be ideal but finding one that's large enough (ideally 48" x 48") is becoming a bit of a challenge. 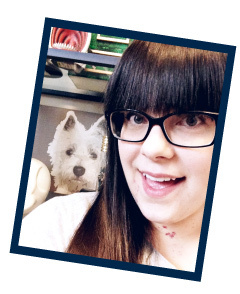 I've found a few options that might work stylistically but none of them are quite as big as I'd like them to be. 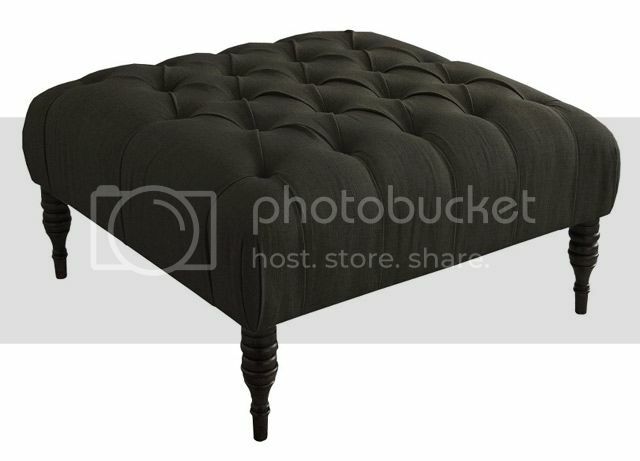 We're 90% sure the fabric used on this tufted ottoman is the same that's used on our dining room chairs. It'd be nice to have the repeating fabric/color in the living room as well. The legs are a little too traditional for my taste but I'm assuming we could buy some replacements. 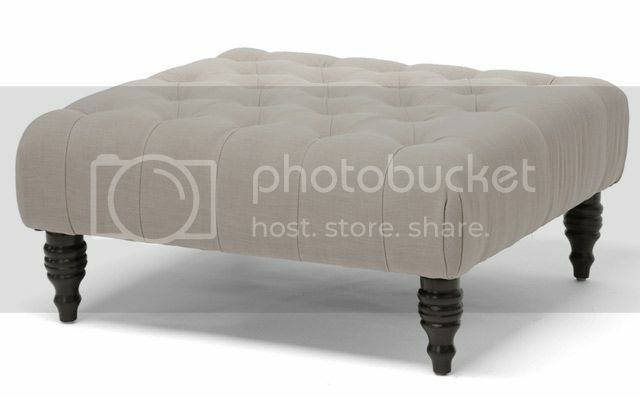 Target's tufted ottoman is nearly identical in shape and size to the ottoman above but the legs are a little different. The color is obviously darker as well. I like the deep diamond tufts and the extra 3" of height it has compared to the one above. 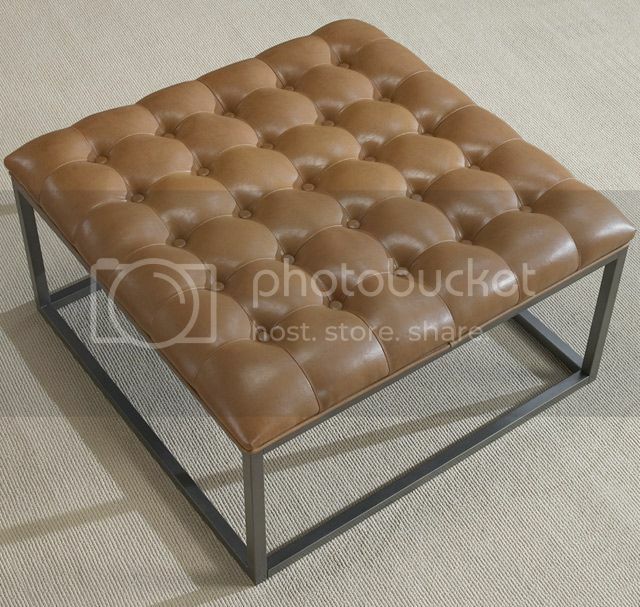 I like the saddle brown leather tufted top and open base on this ottoman. That's about all I like but I wanted to show a different color option. Would you buy a rectangular coffee table or a square one? What color (any color, not just the ones shown above) would you pick? A large square is going to look amazing and I'm sure yo'll be able to come up with a gorgeous DIY. i love option 3!!!! it will add some nice warmth to the room! I'm in love with the leather option. It's just light and airy but so stylish. I've seen 2 rectangular tables pushed together to make a square. Could work in your space and offer more flexibility to use separately in the future. I made something similar years ago - large square kitchen table, trim the legs to desired height, upholster and tuft top. Pretty easy DIY! Number 2 is so pretty! and I also love the idea of leather like #3. A nice big square one would work great! We have the smaller rectangular version of the Heally ottoman as our current "coffee table" in our living room. It is in the cream color and we love it. Considering the abuse it gets from having to survive in a household of teenagers, I'm quite pleased with its quality and ease of cleanup. I almost got the square one you reference, but decided it would just collect more stuff. We have a tray on it now to corral a short stack of magazines, the candy dish, and the remotes. I think square for your space. Go for the DIY! Are you 100% sold on having a square coffee table? 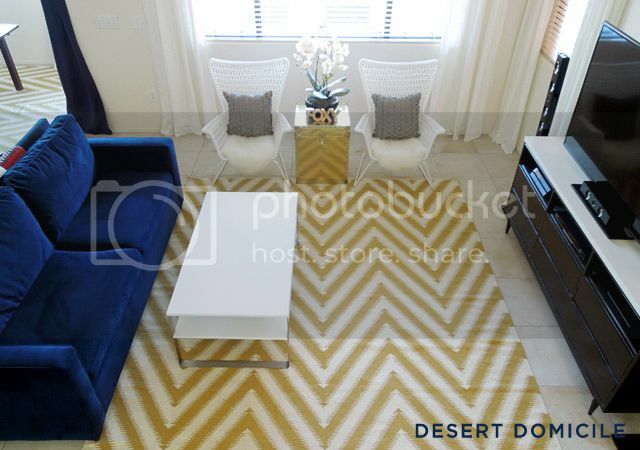 I think a round one would be amazing in the space, as a contrast to all the angles you have going on, like the chevron rug. Love the leather one and in that color. Or a circle to break up the hard lines. From a functional point of view, all those tufted tops make me squirm - where would I put my glass of water? Other than just to look pretty, what do you *do* with your coffee table? I love my coffee table - it lifts up and becomes the perfect height to use a laptop, do a crossword or do a puzzle. I have been looking for big square coffee tables as well, but yes, they are rare. I think it is a great idea to make one yourself. I adore all the options you came across! I like the wipe-ability of option #3. We use ours for everything and the faux leather texture makes it easy to clean. I definitely vote for a square table. I like the base of #3, but I totally think you could DIY something similar! I love the color of #3, and I definitely like the idea of a square. Can't wait to see what happens! I'm kinda loving the bench we are using for a coffee table right now, so I guess I'd go for rectangle by default. I like the idea of saddle leather in any room. I'm 1000% (yes one thousand percent) sure you could pull off an incredible DIY with these styles.